Agreements between employers and their employees, in which the employees agree not to sue the employer, are very common. However, to protect employees who may be unaware of their legal rights, the law says that agreements of that kind are not legally enforceable unless they are proper ‘compromise’ agreements which meet certain requirements. The principle behind a compromise agreement is that the employee has received independent legal advice before signing the agreement and therefore he or she understands the terms of the agreement and its effect upon his or her ability to present a complaint to an Employment Tribunal. To explain the effect of a compromise agreement, we must first explain the three main sets of rights available to an employee under UK law. Some or all of these rights may be available to you as an international executive but the employer will want you to waive all of them in order to ensure you have no claims you could pursue in the UK courts or tribunals. Contractual rights – These are those rights set out in your contract of employment, such as your job title, your holiday entitlement, your notice period and your right to be paid salary and other benefits. Common law rights – These are those rights that derive from the general law in relation to your treatment by your employer, such as negligence, personal injury or defamation. These types of claims can normally be pursued only in the UK’s High Court or County Court. Various maternity and paternity rights. This is not an exhaustive list. Confusingly, there are certain overlapping rights that can derive from both your contract and statute. Employees can ‘waive’ (i.e. sign away) many of their contractual rights or common law rights merely by setting this out in a document and signing it. This is why employees have to be careful that they do not inadvertently prejudice their position by signing documents without taking legal advice, for example when an employer proposes to change terms and conditions of employment. However, the law seeks to prevent unscrupulous employers from removing the statutory rights of employees who might not appreciate the value of those rights they are being invited to sign away. This is why you need to take independent legal advice from a UK lawyer before the agreement is valid. What Is the Effect of a Valid Compromise Agreement? The agreement must record that the requirements regulating the compromise agreement have been satisfied. If the agreement does not comply with those statutory minimum requirements, it will not compromise your statutory rights. You will still be able to pursue a claim (although you will probably have to pay back any money received). If the agreement does comply with those statutory minimum requirements, you would not be able to bring a claim in a UK Employment Tribunal. This is the primary effect of a valid compromise agreement. Depending on the wording of the agreement, it may also prevent you from bringing any contractual claims and/or common law claims. It is usual for an agreement not to compromise your accrued pension rights, as these have accrued in the past and cannot retrospectively be removed by your employer outside the rules of the pension fund or while the fund remains solvent. In addition, there is usually a clause dealing with any future claim for personal injury against your employer. Personal injury claims are either excluded from the agreement completely (i.e. the agreement does not affect them at all) or the employee only signs away the right to pursue claims for injuries of which he is already aware. We will discuss the specific circumstances of your case with you and advise you separately about the rights that your employer proposes to compromise in your case. Why Do You Need to See a Lawyer? The role of the lawyer according to the legislation is a narrow and specific one: to explain to the employee the terms and effect of the agreement. It is usual for the lawyer to sign a form or a certificate confirming that the advice has been given. In particular, the lawyer must confirm that he or she has a policy of insurance that covers the risk of a claim for negligent advice being made by an employee he or she has advised. Is the Compromise Agreement a ‘Good Deal’ for You? Technically, in order to comply with the statutory minimum requirements for a valid compromise agreement, the lawyer is not required to advise the employee on the merits of any potential legal claims against the employer, i.e. whether the agreement represents a good deal or a bad deal. Similarly, the lawyer is not required to help the employee negotiate the wording of the agreement. We can, of course, provide that advice to you or negotiate as to the wording of the agreement if you request us to do so. It is normally a good idea to discuss this with your lawyer, as it hopefully prevents any later misunderstandings or regrets. Such advice or negotiation may, however, fall outside the scope of the advice for which the employer is prepared to pay (see further under ‘costs’ below). 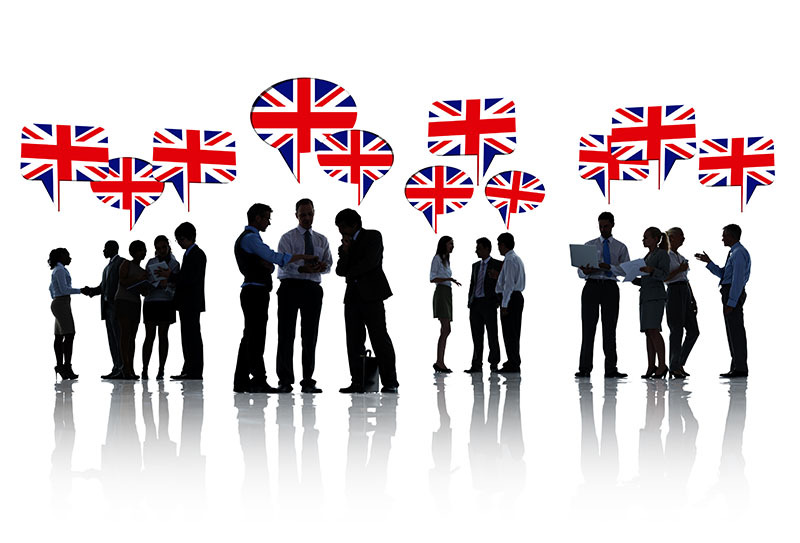 As UK lawyers, we will not be in a position to advise on any potential legal claims arising under the laws of any other country where you have worked or with which you may have a connection. Generally speaking, there is merit in signing a compromise agreement where the proposed termination payment exceeds your minimum contractual entitlement and buys out a reasonable assessment of the likely value of your legal claims when taking account of the cost of pursuing them. It is not always straightforward to determine whether a termination payment is a reasonable sum as it can be difficult to evaluate the merit of these legal claims if your employment has not actually ended yet. Also, it can be difficult to evaluate the likely compensation you would receive if those legal claims succeed. Compensation is primarily based on lost earnings, and it may not be easy to predict at this stage what those lost earnings could be. You may find another job quickly or you may face a lengthy period of unemployment. It can also be difficult to predict legal costs if we do not know what kind of allegations your employer might make about you in the context of a legal dispute. These disputes can sometimes escalate in unforeseen ways. However, we will try our best to give you as much information as possible, so that you can make an informed decision about whether or not to sign the compromise agreement, or alternatively what amendments are needed before you will sign it. What If You Do Not Sign? If you decide not to sign the compromise agreement, we will advise you of the consequences, which may include the termination of your employment. You should also be aware that your employer will not make a contribution to your legal fees if you do not sign. In that case, you will be responsible for all of our legal fees. If you decide not to sign the compromise agreement, the time limits with which you must comply in order to pursue your legal claims are normally three months less one day from the date your employment terminated, but you may need to lodge a claim more quickly where, for example, you complain of unlawful discrimination before your employment ended. The employer benefits from the legal advice provided to the employee in relation to the compromise agreement, in the sense that the independent legal advice validates the compromise agreement and thereby secures a successful ‘compromise’ of the employee’s legal claims. It is therefore conventional for the employer to offer to pay a contribution towards the legal costs incurred by the employee in taking advice on the terms and effect of the agreement, although the employer is not required by law to make such a contribution. Even if you accept the amount of money on offer, you ask us to negotiate directly with your employer or its solicitors regarding the drafting of the agreement itself. In such cases, your employer’s proposed contribution is unlikely to cover the additional cost of such work. If we are unable to secure an increase in the contribution, you will be responsible for the balance and we may ask you for a payment on account of our costs. What Else Goes in the Compromise Agreement? The parties are free to include other matters in the compromise agreement and frequently do so. For example, it may be important to you to ensure that your employer will provide a reference if and when requested by a future employer. Before signing the agreement you can agree on the wording of any such reference as well as specify a period within which the reference must be provided. We can advise on all such issues and the drafting that is appropriate to preserve your rights to the maximum extent with regard to each (although your legal costs will rise depending upon how many of the above matters in which we are involved). Whether the employer agrees to such changes is, of course, a separate issue that becomes clearer during the course of negotiations. Payments for work done or payments made because of a clause in the contract of employment are normally subject to deductions for income tax and national insurance contributions (NICs). Tax issues are complicated and will vary from case to case. You may be entitled to receive up to £30,000 without deduction for tax if it is paid as compensation for losing your employment but this may not apply if you have tax liabilities in another country. We can advise you if this might be applicable in your case. Many international executives have potential tax liabilities in countries other than the UK and some may have the benefit of overseas service relief. Where more detailed advice on personal taxation issues is required, we may suggest that you contact your accountant. It is not for us to tell you whether or not to sign a compromise agreement. As stated above, our role is to advise you on the terms and effect of the agreement and, where you instruct us to do so, to advise you further on whether or not the termination payment represents a good deal. In the latter case, we aim to give you the best possible information to enable you to make the most informed decision possible.